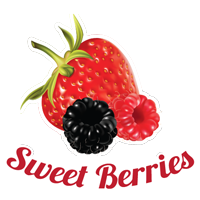 Home > Posts tagged "Nubian Heritage"
Sweet Berries - it is a blog about beauty and health, our home, and the world around us. Here you will find reviews of various cosmetics, mainly natural and that which is not tested on animals, impressions about various goods and products from iHerb, including products for children. As well as thoughts and conversation about the protection of nature, animals and health. Always glad to new contacts and communications! All information in this blog is available for informational purposes only. This blog is about my personal experience and in it I post information that, in my opinion, will be interesting for you. This information may be brief and is not a substitute for doctor consultation . Each person has their own individual responses to different foods and exercises. Before using any drugs, dietary supplements it is necessarily to consult your doctor. Take care of yourself!